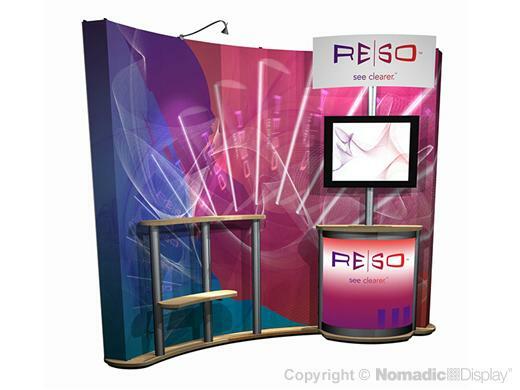 Instand® is truly unique in its ability to blend seamlessly with other Nomadic systems to form versatile trade show booths. This 10' Instand features Foundation, an ingenious tool free riser that enables you to arrange accessories along its built in front rail for maximum display versatility. Instand offers the most diverse range of accessories including: integrated A/V workstations for power packed presentations, trade show shelving for product display, brilliant trade show graphics and radiant backlighting.